Forget dry turkey and soggy vegetables. 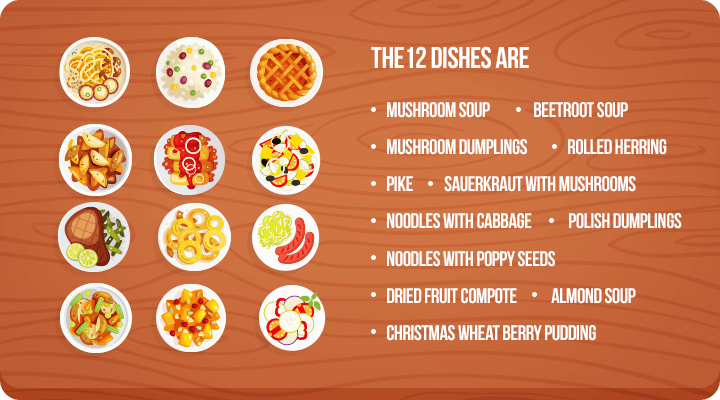 The rest of the world’s got a whole lot more on their Christmas table. Admittedly, some foods sound more appetizing than others though. In Greenland every household has a rotten bird as their centerpiece. Known as Kiviak, it’s an Icelandic delicacy of baby auk which has been left to ferment inside the carcass of a dead seal for seven months. Meanwhile on the other side of the world, Indonesia’s national Christmas delicacy is garlic fried rats. 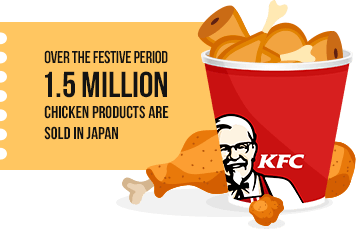 In Japan it’s become a tradition for families to have a KFC ‘Christmas Party Barrel’ as their celebratory meal. The barrel is basically a Christmas themed bucket of chicken. It includes fried chicken obviously, as well as ice cream, a bottle of wine, salad and Christmas themed paper plates. Over 240,000 barrels are sold each year and to guarantee yours you have to make sure to order it several months before Christmas rolls round. The biggest Christmas tradition by far in Spain is the El Gordo Christmas Lottery. El Gordo translates as ‘The Fat One’ and during this massive lottery draw there are cash prizes worth over $2.5 billion up for grabs. What makes El Gordo special is that each ticket costs $200 and is printed with 10 small sections, all with the same numbers. 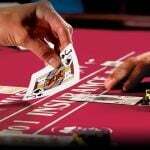 This means that friends, neighbors and colleagues share the tickets by each paying $20 for one of the 10 sections. If that ticket wins, all 10 of them pocket millions. Next door in Catalonia, kids have to settle for something a little less valuable and a whole lot weirder. A log that poops presents to be exact. Children must leave snacks out for The Tio De Nadal or Christmas Log every night from December 8th to Christmas Eve. 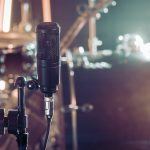 In the morning they hit it with sticks and sing a song that goes, ‘Pooh, log! Pooh, nuggets. The ones that are so good. Poop money and if you don’t have enough, poop us an egg. Poop nuggets, log!’. Once the children have harassed the poop log, they have to leave the room to pray. When they return, they find little food gifts under the back of the log. If eating sweets that have been defecated out of a log isn’t really your thing, you could always try a visit to Sweden’s famous Gavle Goat. This giant goat statue made of hay is erected every year in the small town of Gavle. The only problem is people keep burning it down. The goat has taken pride of place in the town’s square every Christmas since 1966 but more often than not, it falls victim to vicious arson attacks. Just to be clear here, although the burning of the goat has morphed into a tradition, it is an unwanted one. 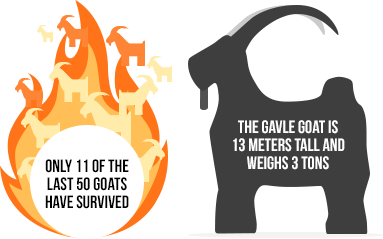 The government and towns people do not want their special Christmas goat to die in a blistering inferno but protecting the statue has proved almost impossible. The climate just isn’t right for spruce trees in India, so families decorate a banana or mango tree instead. In the Ukraine and other parts of Eastern Europe, people cover their trees in fake cobwebs. This might seem like a look that’s more suitable for Halloween but it’s actually based on an old European folk tale. The story goes that there was once an old lady who was too poor to decorate her Christmas tree. Her children woke up during the night and saw that the tree had cobwebs all over it. On Christmas morning when the light of the rising sun hit the tree, the cobwebs turned to gold and silver. The family became rich and lived in luxury forever after. 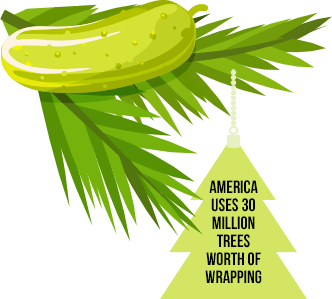 In the United States a pickle has somehow managed to secure its place on the Christmas trees of hundreds of thousands of households. The pickle is hidden amongst the branches of the tree and children search for it on Christmas morning. The kid who finds it wins an extra present. This salty seasonal oddity is said to have been started by Private John C. Lower during the American Civil War. He was captured and held prisoner in 1864 but on Christmas Eve he pleaded for a pickle because he was slowly dying from starvation. The guard handed him one and every year after he was freed, the Army Officer always put a pickle on his Christmas tree. 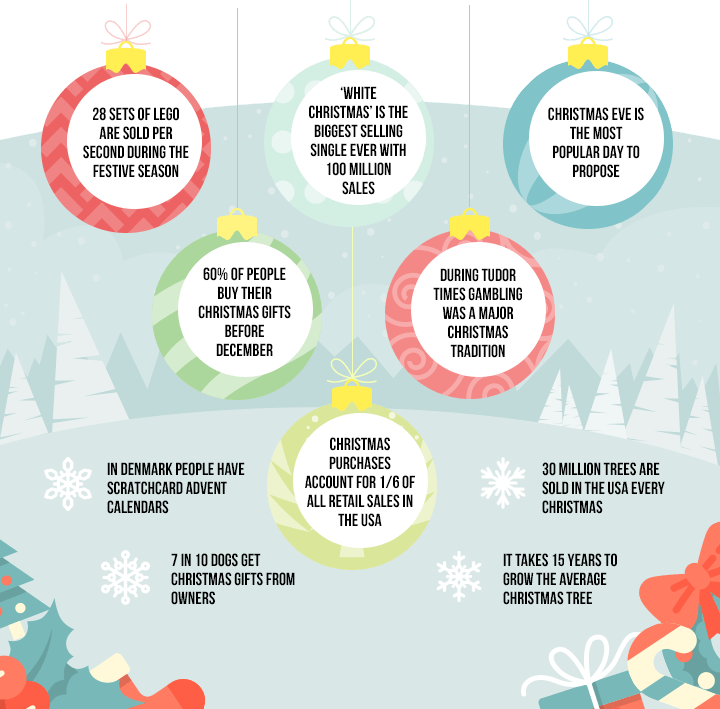 If you’re European, the chances are your Christmas traditions involve calming activities like carol singing or watching your favorite show’s Christmas special. In the USA, things can be a little different. Thanks to the rise of social media thousands of Americans now post pictures of their kids opening their first gun. Instagram is full of the lit up faces of children holding their new person-killing non-toy in front of the Christmas tree. When you think of the holiday season you probably don’t think of sunshine. Barbecues are unlikely to be at the forefront of your mind either. In Australia its less about the traditional snow and warming log fires though. That’s because Christmas comes during their summertime. Party goers from around the country flock to the beaches on December 25th for a day of sun, surf and Santa. Over in Portugal, Christmas isn’t even just for the living. It’s a custom for families to lay a place at the table for any relatives who have died that year. Having just one Santa is for losers. In Iceland they have 13 Santa-style characters that visit on different days in the run up to Christmas Eve. Some of them are sneaky little pranksters and others are gift-giving pals. Their names are strangely specific too and include Sausage Swiper, Door Slammer and Door Sniffer, Meat Hook and Bowl Licker and Yoghurt Gobbler. If you’re a child in Austria, the chances are you won’t be getting any sleep in the run up to Christmas though. Not because you’re too excited to sleep but because your parents will have told you there is a crazed half devil, half goat roaming around town looking for bad children to abduct and put in a giant sack he carries on his back. This character is known as Krampus and is covered in brown hair, has a tongue that sticks out of his mouth and horns on his head. He also carries a bunch of branches to beat children with.